MODIS Satellite image over the Great Lakes during Lake Effect Snow. Image: NOAA Great Lakes CoastWatch. It’s likely that everyone in the Great Lakes region has experienced unexpected weather, especially in the winter. What the flux towers look like close-up. Image: Lindsay Fitzpatrick. When was the last time you recall a meteorologist telling you that there would be only 2 to 4 inches of snow when the 12 to 14 inches that came were blamed on the deceptively friendly-sounding “lake-effect” snow? That uncertainty could be a thing of the past, said Lindsay Fitzpatrick, an atmospheric data analyst with the Cooperative Institute for Great Lakes Research in Ann Arbor, Michigan. She and her team are looking for ways to more accurately predict that lake-effect snow and give more advanced warning of it before it hits. Lake-effect snow strikes many areas of the Great Lakes region, but it hits northern and western Michigan and western New York the hardest. 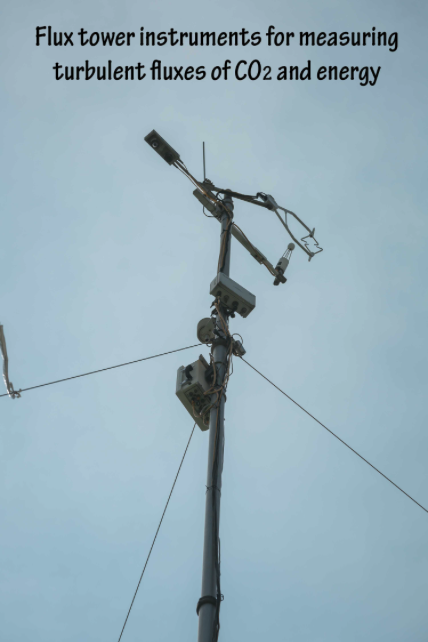 Working with the National Oceanic and Atmospheric Association’s Great Lakes Environmental Research Laboratory, the researchers have been developing a network of weather measuring stations called flux towers. Each tower has instruments that measure temperature, wind speed, wind direction, solar radiation and other meteorological variables. They also measure heat flux–the amount of energy transferred to and from a surface. That is useful in measuring evaporation. And that’s important because the greater the evaporation from the lake, the more water goes into the air. And the more water in the air, the more likely it is to fall as snow. 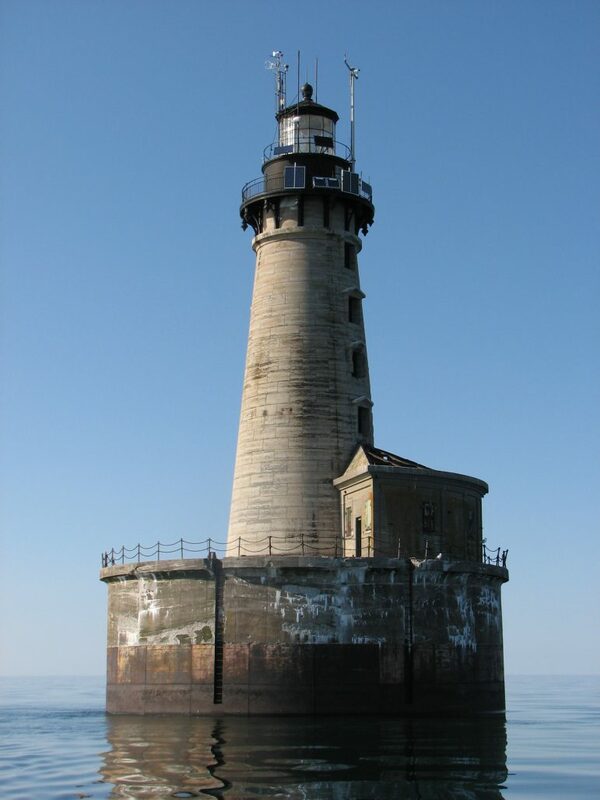 The instruments are on top of five offshore lighthouses–two on Lake Superior and one each on lakes Michigan, Huron and Erie. There are none yet on Lake Ontario. The trouble is that there aren’t enough of them to fine tune the models well enough. Fitzpatrick figures two to three towers on each lake would give meteorologists the lake-wide measurements that they need. But the towers are expensive to purchase, set up and maintain, she said. The costs for each are roughly $70,000 to $80,000. Weather experts say the investment is worth it to develop computer models needed to better predict lake-effect snow. It is difficult to predict lake effect snow because the models haven’t captured finely enough the elements that cause it, he said. Even so, understanding them has improved with the towers that exist now. “The flux towers are very important because they quantify the fluxes of energy and water taking place between the lakes and the atmosphere above something we really couldn’t do very well until the towers went up,” he said. The U.S.-Canadian International Joint Commission funded a project to build the first flux towers in 2008. The others were supported by subsequent projects and grants. “These towers require constant monitoring, which requires bigger teams, and if we want to be able to rely on these towers for predictions, we need to have more on every lake,” Fitzpatrick said. Her team recently published a study in the American Meteorological Society’s Journal of Hydrometeorology about the turbulent heat fluxes in Buffalo during a lake-effect snow event. They say they hope the study will help others see the importance of these towers. The study measured latent heat fluxes, or the amount of energy (or heat) needed for evaporation. 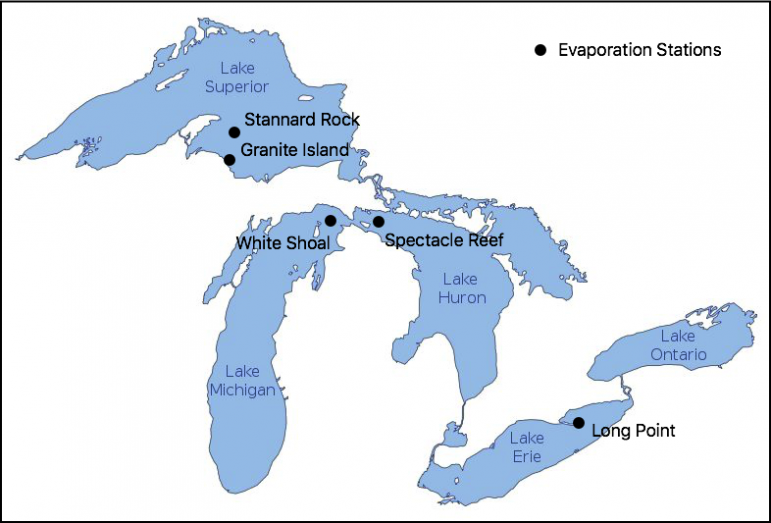 That helped the researchers estimate the amount of evaporation at the lake’s surface and to study whether such measurements help forecast lake-effect snow. The study shows that models now do a poor job of simulating latent heat flux, Fitzpatrick said. Better models created from more flux tower measurements can better predict snow, location and intensity. And they may also give a glimpse of what’s ahead as the climate’s air and water temperatures rise, Andresen said. You should clarify – the article mentioned was published in the Journal of Hydrometeorology, published by the American Meteorological Society.